I've become quite addicted to highlighters in the past year or so. Powder, liquid, cream, I don't care. Sheen, gleam, shine. I want them all. I have liked some more than others, but I just cannot get enough. It's probably because I have dry skin and it just gives my skin that extra "oomph" that it typically lacks. 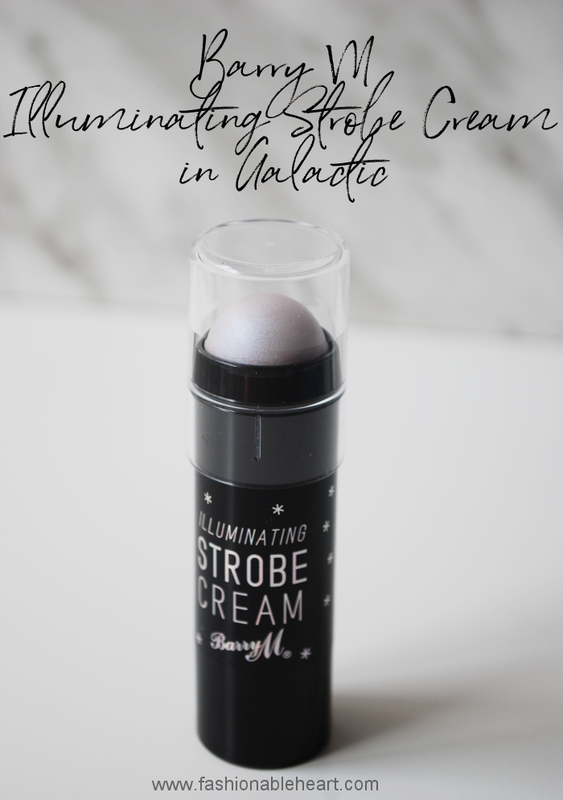 In this post, I'm sharing my thoughts and swatches on the Illuminating Strobe Cream in Galactic by Barry M Cosmetics. Barry M does it again! Oh, how I wish this brand were sold in stores here. I'm so grateful to my friend Hayley for grabbing a few things for me before making her trip to Toronto! With my ongoing obsession of highlighters, I knew I had to throw this one on the list. There are four shades altogether - Iced Bronze, Frosty Pink, Baked, and Galactic. I felt like I was already getting similar shades to Iced Bronze and Frosty Pink in the Barry M Illuminating Palette that I also bought. But Galactic? Well, that was unique for me. I don't have anything like it in my collection. Barry M says it is holographic. No, it is not holographic. It is irridescent. Galactic has a gorgeous sheen to it and goes on like a dream. It's a very soft cream and glides right on, even on my dry skin. I haven't had any issues with it messing up any other facial product. It works well with other products and is fun to experiment with. Below, I have a swatch of Galactic on its own and layered on top of Tarte's Paaarty blush. So pretty! Put it over eyeshadow, your arms, whatever and wherever. This is a fun one suitable for everyone. 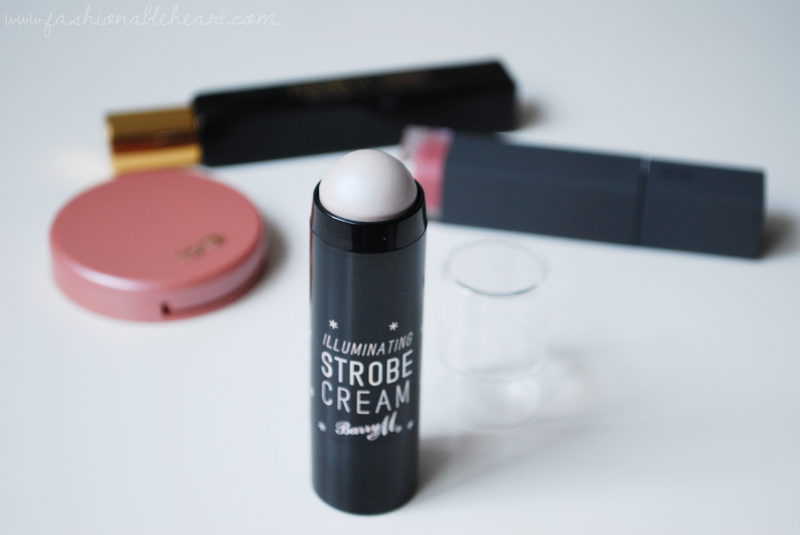 Galactic is a winner and I'd bet the other Strobe Creams are, as well! Barry M ships to Canada and many other countries and some of the brand's items are also available on ASOS.